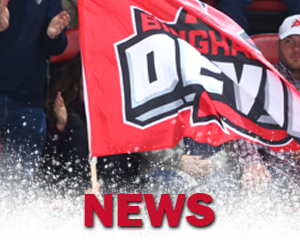 LAVAL – The Binghamton Devils broke out for five goals and ended a ten-game losing streak with a 5-1 road victory over the Laval Rocket on Wednesday night in front of 4,144 at Place Bell. 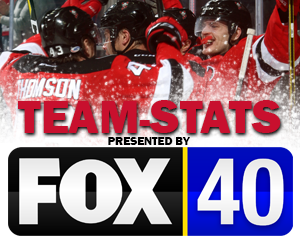 After no scoring in the first period, the Devils scored three times to take a 3-0 lead after two periods. Ryan Schmelzer pulled a faceoff win back to Blake Pietila who rang a shot off the post and in to give the Devils a 1-0 lead. The goal was Pietila’s 17th of the year from Schmelzer and came just 2:59 into the second. Brandon Gignac set up John Ramage’s eighth of the year and the Devils took a two-goal lead late in the middle frame. After receiving a pass from Nikita Popugaev, Gignac stopped and fed Ramage who ripped a shot past goaltender Connor LaCouvee with 3:52 remaining. Assists were credited to Gignac and Popugaev on the Ramage tally. 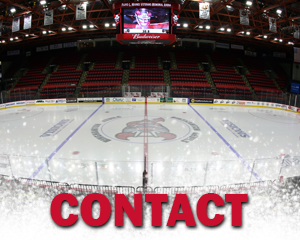 Binghamton added a power-play goal with only 1:13 left in the second. John Quenneville rang the iron from the left wing circle and Nick Lappin was right there to tap in his 18th of the year. 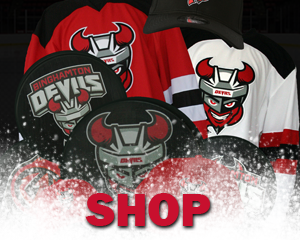 Lappin’s goal was assisted by Quenneville and Pietila and the Devils took a 3-0 lead into the third period. Laval cashed in on a two-man advantage early in the third period to get on the board. Daniel Audette sent the puck by Cam Johnson and in from the bottom of the right wing circle for his 14th of the year at 3:42 to get the Rocket within two, 3-1. Ramage scored his second goal of the night 9:05 into the third period. Quenneville fed Ramage with a lead pass in the right wing circle and Ramage cut to the front pushing the puck under LaCouvee and into the net. The goal was Ramage’s second of the game and ninth of the year for a 4-1 lead with helpers from Quenneville and Schmelzer. 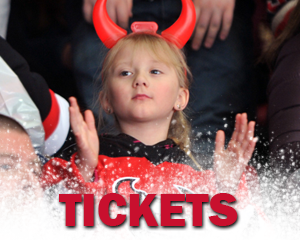 Gignac beat LaCouvee over the left shoulder on a breakaway to give the Devils a 5-1 lead just 52 seconds later. 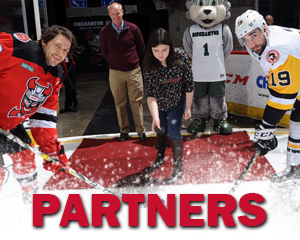 The goal was Gignac’s 11th of the year, unassisted, and Binghamton ended the losing streak. Johnson stopped 21 of 22 for his ninth win of the year. 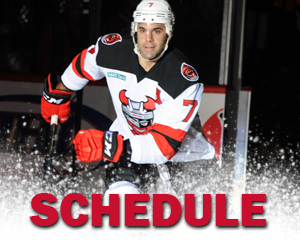 The Devils return home Friday against Springfield and Saturday against Rochester. 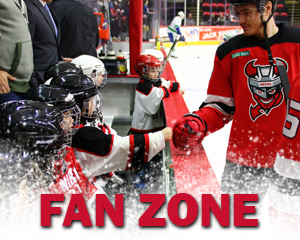 Friday, the Devils have a special guest appearance from WWE Hall of Famer Mark Henry. Fans can get a special VIP meet-and-greet package to hang out with the former World Heavyweight Champion. 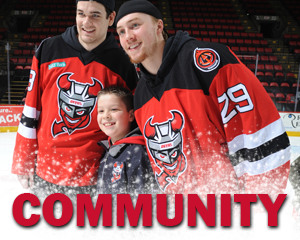 Then, Saturday is Superhero Night where fans can get a special Superhero Pack that comes with a Devils Superhero Cape. Also, it’s the final FREE postgame skate with the players. Call or text “TICKETS” to 607-722-7367.